The AMS EVO X Upper Intercooler Pipe (UICP) is a direct replacement for your factory upper intercooler pipe. 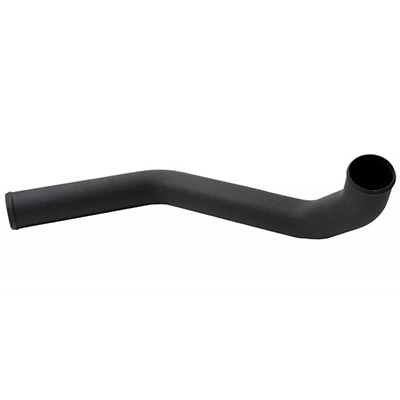 Made from lightweight 2.5” mandrel bent aluminum tubing this pipe includes features such as a smooth, non-turbulent 2” – 2.5” transition for maximum performance. 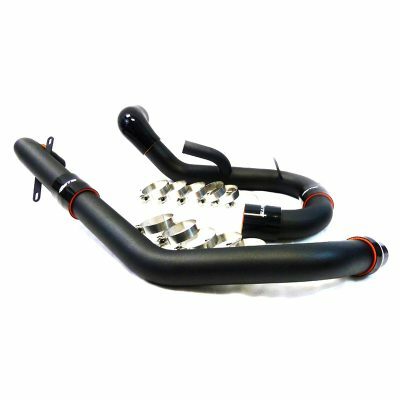 The pipe ends are bead rolled and the assembly is mounted to the core support (in the factory location) to help prevent couplers from popping off under boost. 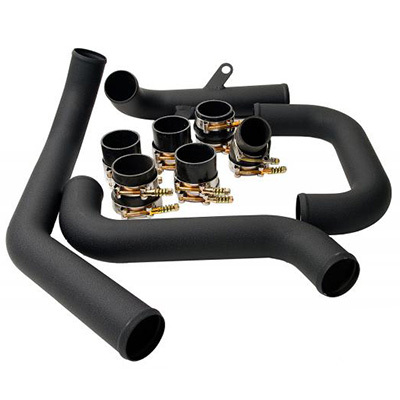 All the factory couplers are replaced with quality 4-ply silicone pieces which can endure 50 + psi of boost! 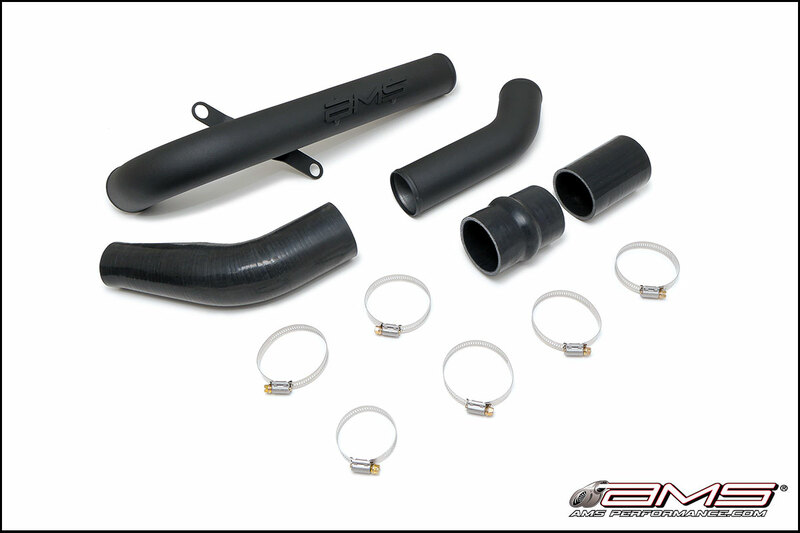 We also utilize a silicone “hump hose” to prevent torn couplers caused by engine movement. 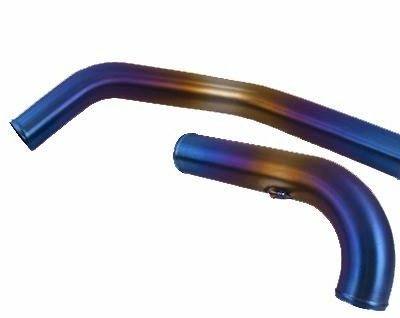 Our UICP is professionally TIG welded in house by our master fabricators and is available polished or black wrinkle powder coated. 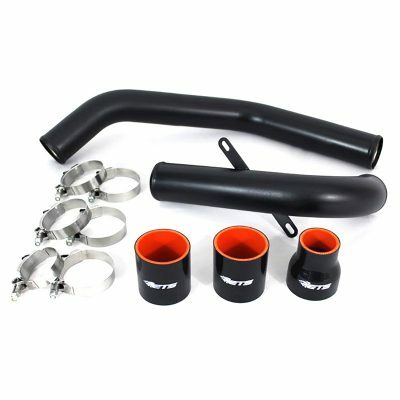 By simply installing this Upper Intercooler Pipe you can expect to see 5 awhp peak and 10+ awhp gains in the midrange over stock without even re-tuning the ECU! 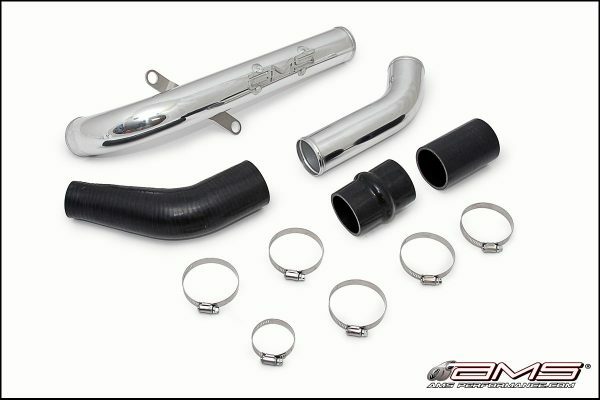 AMS Mitsubishi Lancer Evolution X Upper Intercooler Pipe Install Instructions can be downloaded here.